Georgine specializes in listing and selling cabins to castles in Arizona’s White Mountain region of northern Arizona, including residential, vacant land, commercial properties, 1031 exchanges, and investments in Lakeside, Pinetop, Show Low, Linden, Pinedale, Taylor, and Snowflake. Sandra is an Associate Broker with Aspen Properties, Inc., in Pinetop, Arizona. 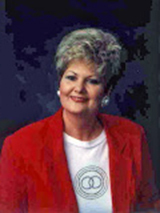 Sandra has been licensed to sell real estate in Arizona since 1998. She has worked full-time as a real estate professional in the White Mountain area since 2002. Sandra would love to help you sell or buy property with the service you deserve and expect.